Do these guys ever do any research? 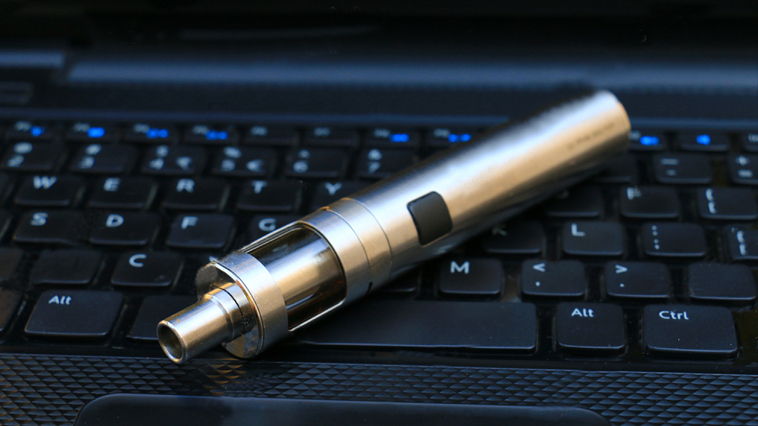 The vaping industry has undergone some big changes over the past 10 years. And yet, the basic premise of the e-cigarette — that it’s a tool used for harm reduction — has remained largely the same. 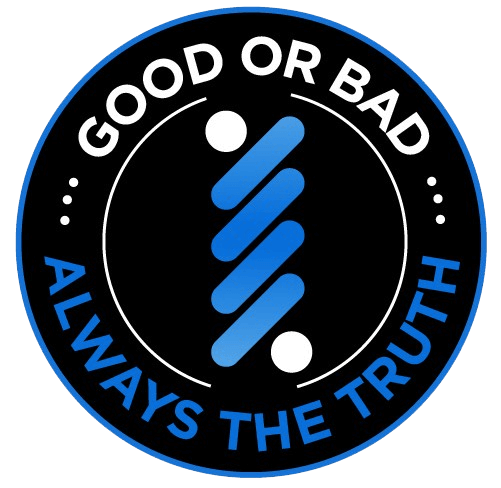 The Anti-Ecig community has decided to turn a blind eye to preexisting factual data, instead choosing to misinform the general public with a numbe of oft-repeated e-cigarette lies. E-cigs or Electronic Cigarettes were brought to US markets in 2006 (E-cigs were brought to the Chinese market a few years prior to this time period: 2003), and protective measures were taken by the US border patrol shortly after. By 2007, e-cigs were being used by the general public. Various bans followed shortly after, with Turkey Suspending the sale of e-cigs March of 2008 (Mahmut Tokaç: Health Ministry Drugs Pharmacy Director claiming that electronic cigarettes were just as harmful as combustible form of tobacco), and the WHO choosing not to recognize e-cigs as a legitimate form of tobacco cessation. In a study funded by Ruyan, a detailed quantitative analysis concluded that carcinogens and toxicants were only present in amounts below harmful levels. Nations continued to follow suit however, with Australia banning vaporizers in January of 2009, and classifying them as poison; Jordan followed immediately after with similar measures. The US was not far behind the “ban wagon” as the FDA added an import alert to e-cigs in March of 2009. 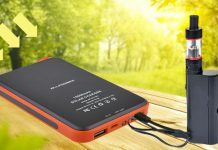 Canada banned the sale shortly after as well, claiming that the devices contained ‘known irritants’. Hong Kong set a fine of HK$100,000 for anyone caught selling or in possession of the harm reduction units. In today’s climate, the bans have remained largely unchanged, with most states choosing to list e-cigs as unsafe/unfit for human use. Since so few long term studies have been performed on the effects of vaporizer use, e-cigs have been continually scrutinized by the Main Stream Media. While many wait for key scientific results to enter the battlefield that is ENDS, many new outlets have increased spread falsehoods. You’d think by now, 10+ years after the inception of e-cigs, basic factual data would’ve been fully accepted by the majority of news outlets. You would be wrong. 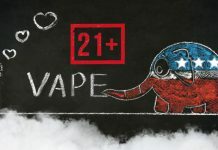 Many businesses with little or no industry knowledge have decided to publish vape related pieces, in hopes of cashing in on the national health epidemic. 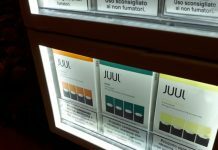 This point was proven yet again, after a article surfaced in the Daytona Beach News Journal titled: JUULing, vaping, mods: More teens attracted to e-cigarettes. 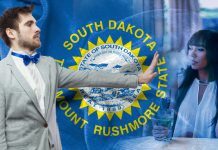 A handful of claims were made in the piece, and I encourage anyone to check out the full article here. E-cigarettes are known by many different names including “e-cigs”, “e-hookahs”, “mods,” “vape pens,” “vapes,” “JUUL,” “tank systems” and “electronic nicotine delivery systems.” The act of smoking a e-cigarettes is often called vaping or JUULing. 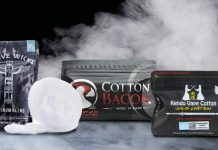 Rather than smoke, the devices deliver a flavored vapor that is then inhaled and exhaled. The amount of nicotine can vary greatly in the the aerosols or liquids contained in e-cigarettes, according to the CDC. The substances in e-cigarettes also include diacetyl—a chemical linked to serious lung disease — as well as other volatile organic compounds and cancer-causing heavy metals such as nickel, tin, and lead. E-cigarettes do have a few different names within the vape community. This is mostly to clear any confusion between device type. With that being said, e-hookahs and tank systems are not a term used by vapers. E-hookahs can utilize the same liquid as many vape devices, but look nothing like their counterparts. 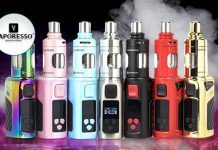 Tank systems is an extremely broad term that could be used to describe a type of tank used for vaping. 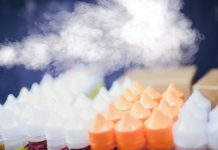 Technically anything that has the ability to hold liquid while it is being vaporized, could be referred to as a tank; there are many different versions of these mechanisms including: RTA’s (Rebuildable Tank Atomizer), RDTA’s (Rebuildable Dripping Tank Atomizer), and Sub-Ohm tanks, which are frequently used by members of the vaping community. 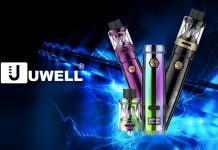 The e-juices used to vape ALWAYS come in liquid form (as opposed to an aerosol); this includes all devices including e-cigs. E-cigs are electronic devices, and do not contain any form of Diacetyl or other chemical flavoring; however the e-liquid used in e-cigs can contain these chemicals in low level amounts (used for flavoring…). In August of 2000, Diacetyl was linked to case of obliterative bronchiolitis in ONE case of a worker from a microwave popcorn plant. However, Diacetyl has not been linked to any forms of lung disease caused by vaping. Nickel, tin, and lead are not found in substances used to vape. Finding the truth about e-cigs is not a hard thing to do — just talk to anyone who vapes, owns a shop, or has studied Electronic Vaporizers to any extent. Putting in the work, and asking questions to find the answer you seek is half the battle. Will the anti-ecig community ever stop their fear mongering? Probably not, but we surely won’t let there scare-tactics go unanswered!